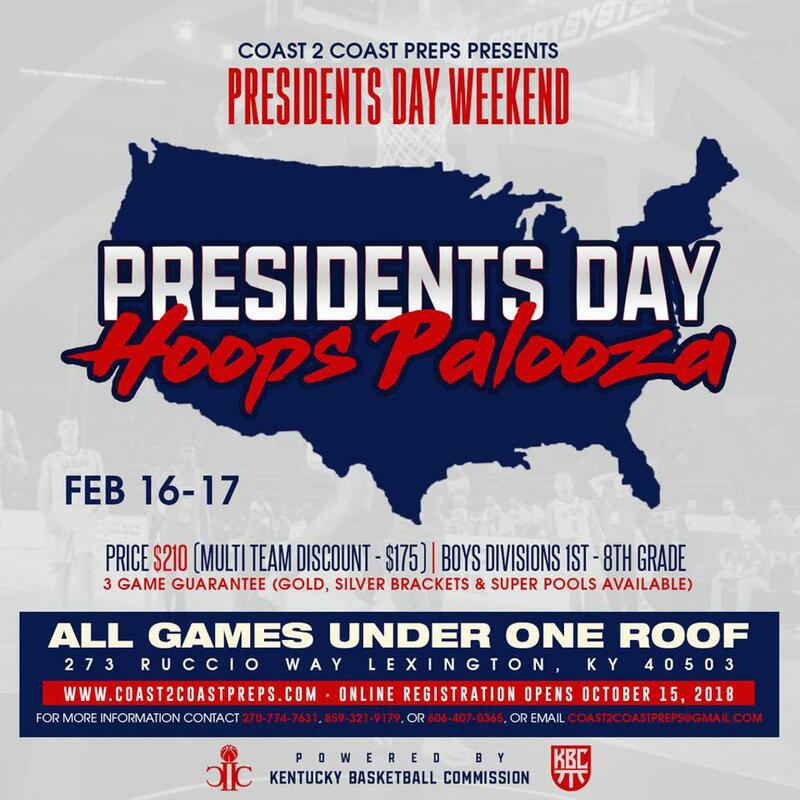 This weekend the first of three tournaments making up the Holiday Series Presented by Coast II Coast Preps and powered by the Kentucky Basketball Commission takes place. The MLK Season Tip-off is loaded with top talent from the mid-west and here is all the information you need to know for the weekend. Go to your App Store and download the Exposure Events App or the KBC Hoops App. Here is a link to this weekends brackets. 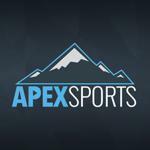 Download the Apex Sports App from your App Store and tune in live to action on Court 1 all weekend long. 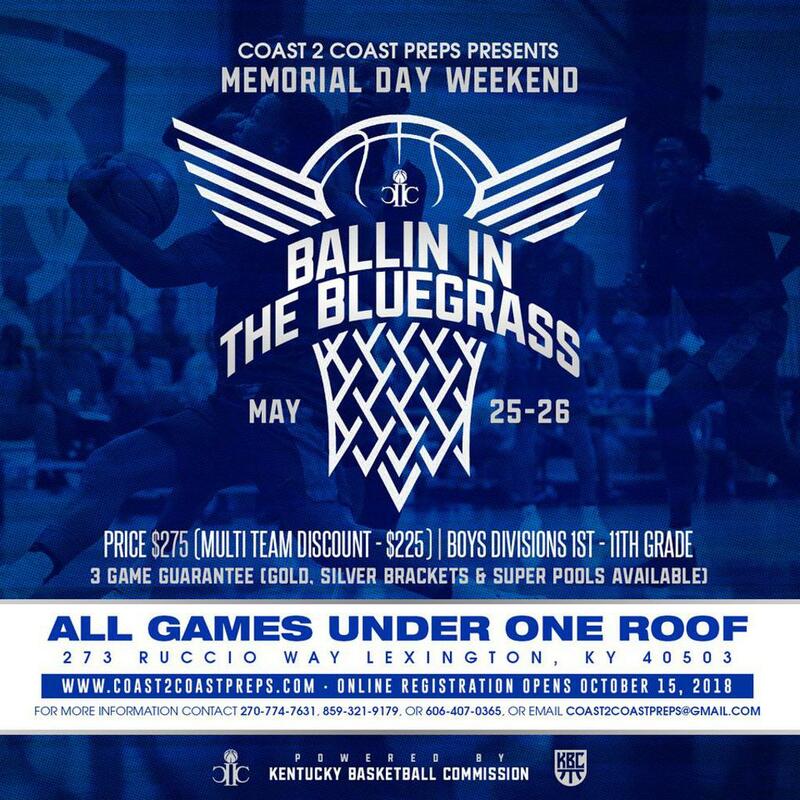 This is a grade based tournament ONLY, regardless of age there is no playing down a grade. You play your grade, and in the event of a protest, please have proof of students grade on file. Protest Procedure: The head coach for the team participating in the tournament must file an official protest in writing and submit a $100 cash deposit. The protest must be filed before the next game begins. If the protest is upheld, the proper disciplinary actions will be taken and the $100 cash deposit shall be returned head coach that submitted the protest. If proper documentation cannot be provided to prove the player’s eligibility, the player will be held out of competition until proper proof can be presented. The ruling of the protest is the sole discretion of the KBC staff member in charge at that time. 1.) Boys will play with 28.5 size basketball until 5th Grade. If an official ejects a coach or spectator, that spectator MUST leave the building for the remainder of that game. Depending on the severity of the actions, the KBC staff may determine that the ejection will be longer than one game. No refunds will be given to the ejected spectator. Players ejected for fighting will serve a minimum one (1) game suspension. That suspension will be for the next scheduled game. Depending on the severity of the actions, the KBC staff may determine that the suspension will be longer than one game. If a coach leaves the bench area to go to get a member of the KBC staff to complain about officiating, that coach will be assessed a technical foul. Just as in high school, college, and pro games, coaches are not able to change the current referees or leave the bench area to call the assignor to complain.